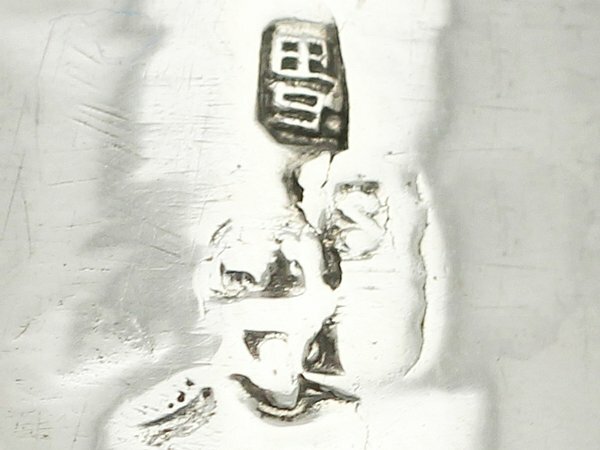 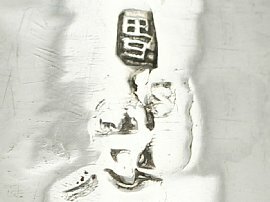 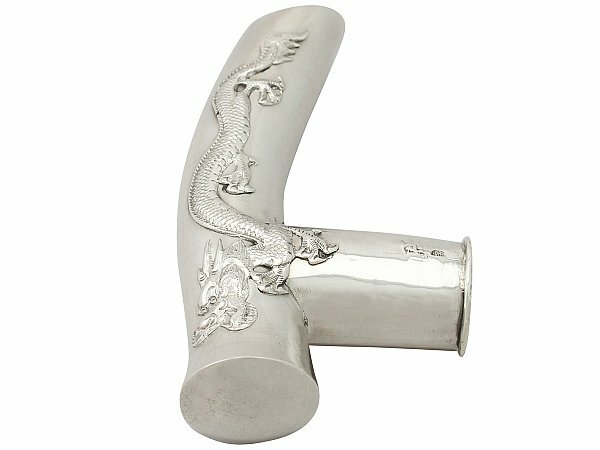 This fine antique Chinese export silver (CES) walking stick handle has a plain crutch style form. 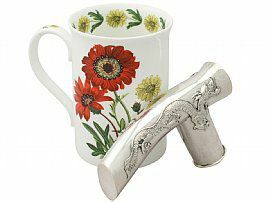 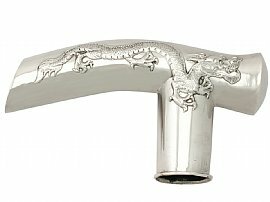 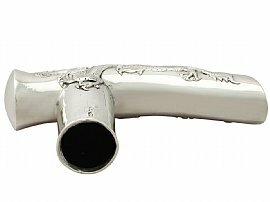 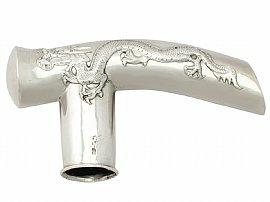 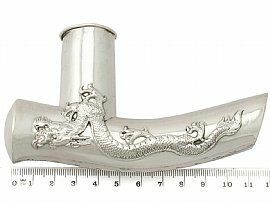 The surface of the handle is plain and ornamented with an applied and chased decorated iconic oriental Chinese dragon design. 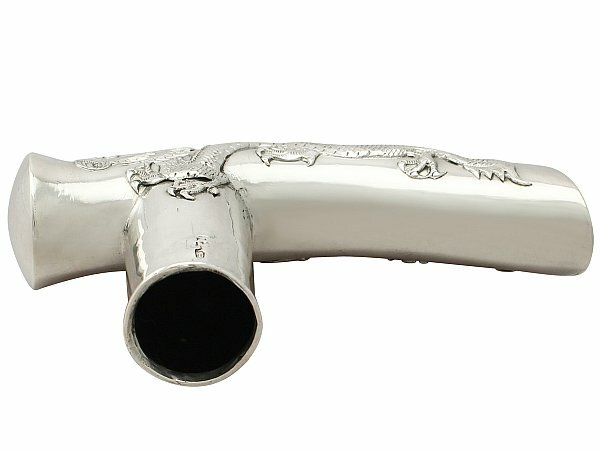 The collar of the piece is encircled with a plain applied moulded border. 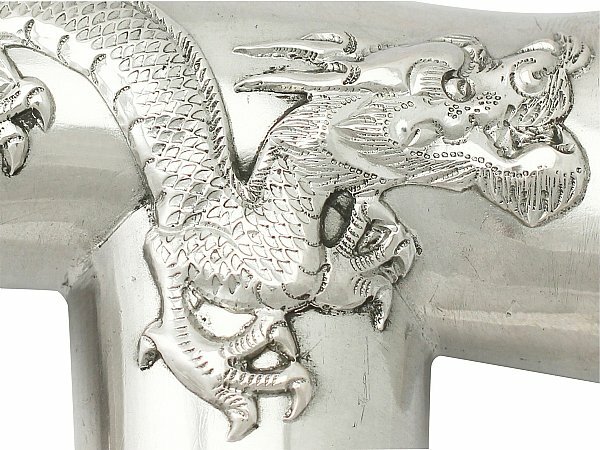 This antique walking stick handle is a very good gauge of silver, fine quality and in excellent condition. 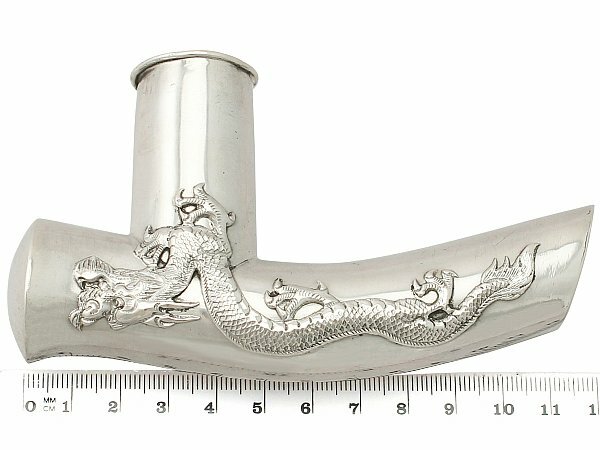 The applied and chased decoration is sharp. 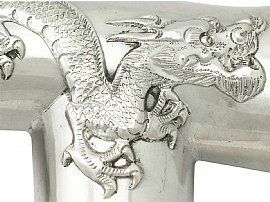 The hallmarks struck to the surface of the collar show signs of wear in keeping with age, but the character mark remains legible. 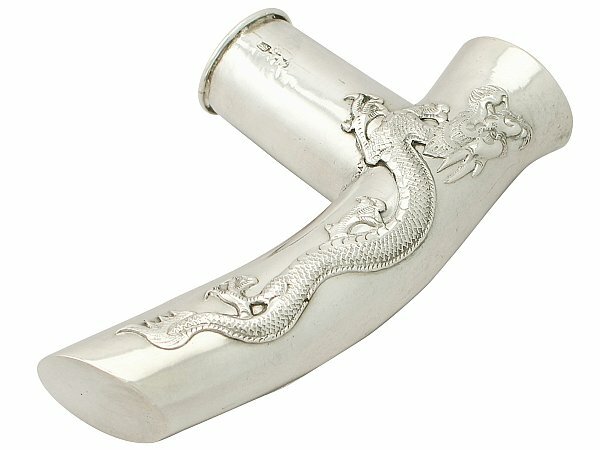 Reflections in photographs may detract from the true representation of this example of Chinese silverware.